Study shows that exposure to galactic cosmic radiation from deep space travel can cause harmful biological processes and changes to the brain such as cognitive impairments and Alzheimer's disease. Outer space is not as serene as it looks. It is full of radiation. Ultraviolet radiation from the sun can cause rapid sunburn and skin cancer. During solar flare activity, x-rays, gamma-rays, and energetic particles that can cause radiation sickness are ejected from the Sun and shot into space. Without proper protection such as UV protection and a solar flare shelter, astronauts would be in constant danger. Aside from the Sun, there is also radiation from outer space. These are produced from exploding stars and other objects, and unlike radiation from the Sun (which usually peaks during solar flares and storms), cosmic radiation is constant and continuous. 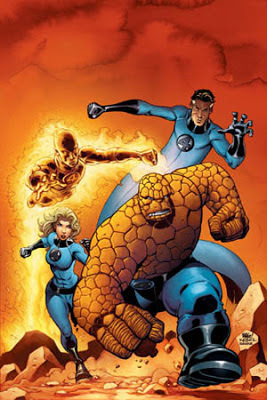 On a side note, the comic book Fantastic Four, chronicles the adventures of four superheroes who gained superpowers through cosmic ray exposure in outer space. The Fantastic Four experienced changes that granted them superhuman ability from the exposure to the radiation. Nothing can be further from the truth. In reality, the effects on real life astronauts may be the opposite. Previous NASA studies have shown that cosmic radiation increases the risk of cancer and that according to their estimates, for every week of exposure in a cosmic ray environment will shorten life expectancy by about a day (more if cancer sets in). This sets up a problem when planning deep space missions, specially to Mars. Scientists are busy trying to study what other effects cosmic rays have on the human body in deep space travel and how to mitigate these. As if space travel was not already filled with enough dangers, a new study out today in the journal PLOS ONE shows that cosmic radiation – which would bombard astronauts on deep space missions to places like Mars – could accelerate the onset of Alzheimer's disease. "Galactic cosmic radiation poses a significant threat to future astronauts," said M. Kerry O'Banion, M.D., Ph.D., a professor in the University of Rochester Medical Center (URMC) Department of Neurobiology and Anatomy and the senior author of the study. "The possibility that radiation exposure in space may give rise to health problems such as cancer has long been recognized. However, this study shows for the first time that exposure to radiation levels equivalent to a mission to Mars could produce cognitive problems and speed up changes in the brain that are associated with Alzheimer's disease." 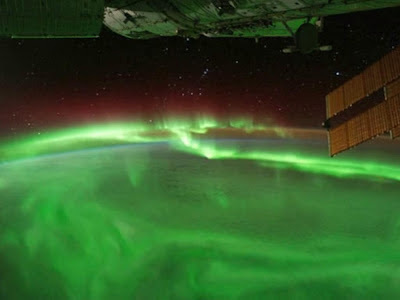 While space is full of radiation, the earth's magnetic field generally protects the planet and people in low earth orbit from these particles. However, once astronauts leave orbit, they are exposed to constant shower of various radioactive particles. With appropriate warning, astronauts can be shielded from dangerous radiation associated with solar flares. But there are also other forms of cosmic radiation that, for all intents and purposes, cannot be effectively blocked. Because this radiation exists in low levels, the longer an astronaut is in deep space, the greater the exposure. This is a concern for NASA as the agency is planning manned missions to a distant asteroid in 2021 and to Mars in 2035. The round trip to the red planet, in particular, could take as long as three years. For over 25 years, NASA has been funding research to determine the potential health risks of space travel in an effort to both develop countermeasures and determine whether or not the risks warranted sending men and women on extended missions in deep space. Since that time, several studies have demonstrated the potential cancer, cardiovascular, and musculoskeletal impact of galactic cosmic radiation. The study out today for the first time examines the potential impact of space radiation on neurodegeneration, in particular, the biological processes in the brain that contribute to the development of Alzheimer's disease. O'Banion – whose research focuses on how radiation affects the central nervous system – and his team have been working with NASA for over eight years. The researchers studied the impact of a particular form of radiation called high-mass, high-charged (HZE) particles. These particles – which are propelled through space at very high speeds by the force of exploding stars – come in many different forms. For this study the researcher chose iron particles. Unlikely hydrogen protons, which are produced by solar flares, the mass of HZE particles like iron, combined with their speed, enable them to penetrate solid objects such as the wall and protective shielding of a spacecraft. "Because iron particles pack a bigger wallop it is extremely difficult from an engineering perspective to effectively shield against them," said O'Banion. "One would have to essentially wrap a spacecraft in a six-foot block of lead or concrete." A portion of the research was conducted at the NASA Space Radiation Laboratory at Brookhaven National Laboratory on Long Island. NASA located its research operation at Brookhaven to take advantage of the Lab's particle accelerators which – by colliding matter together at very high speeds – can reproduce the radioactive particles found in space. The researchers specifically wanted to examine whether or not radiation exposure had the potential to accelerate the biological and cognitive indicators of Alzheimer's disease, particularly in individuals who may be predisposed to developing the disease. To accomplish this they chose study the impact on animal models of Alzheimer's disease. These particular models have been extensively studied and scientists understand the precise timeframe in which the disease progresses over time. At Brookhaven, the animals were exposed to various doses of radiation, including levels comparable to what astronauts would be experience during a mission to Mars. Back in Rochester, a team of researchers – including URMC graduate student Jonathan Cherry, who was first author on the paper – evaluated the cognitive and biological impact of the exposure. The mice underwent a series of experiments during which they had to recall objects or specific locations. The researchers observed that mice exposed to radiation were far more likely to fail these tasks – suggesting neurological impairment – earlier than these symptoms would typically appear. The brains of the mice also showed signs of vascular alterations and a greater than normal accumulation of beta amyloid, the protein "plaque" that accumulates in the brain and is one of the hallmarks of the disease. "These findings clearly suggest that exposure to radiation in space has the potential to accelerate the development of Alzheimer's disease," said O'Banion. "This is yet another factor that NASA, which is clearly concerned about the health risks to its astronauts, will need to take into account as it plans future missions."